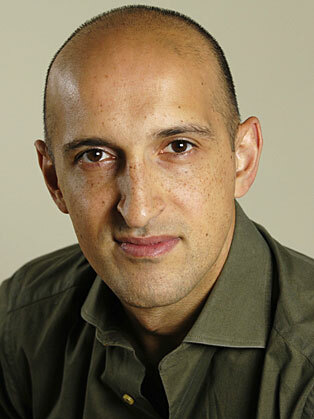 Matthew Syed was born to a Pakistani father and Welsh mother in Reading, southeast England, in 1970. After attending his local state school, he graduated from Oxford University in 1995 with a prize-winning first class degree in philosophy, politics and economics. His first book Bounce, published in April 2010, has been described as “one of the most intelligent and thought-provoking books about sport ever written”. His latest book, Black Box Thinking, was published on 10th September 2015 to widespread praise. Matthew is currently a columnist and feature writer for The Times. He writes a Monday column on football and a Wednesday column on sport as well as penning reviews, opinion and interviews. He has won numerous prizes for his writing including Sports Journalist of the Year at the British Press Awards and Sports Feature Writer of the Year at the Sports Journalist Association Awards. In addition to writing, Matthew is often hired by institutions, schools and corporations as a speaker at high profile events. The feedback from clients is overwhelmingly positive and almost all seek to rebook Matthew for future events. Before becoming a writer and broadcaster Matthew was the England table tennis number one for almost a decade, three-times Commonwealth Champion, and twice competed for Great Britain in the Olympic Games (in Barcelona in 1992 and Sydney in 2000). His style was unusually defensive, playing strokes from the back of the court described as “spectacular roof threatening parabolas”. Matthew also commentates on sport for the BBC and Eurosport and is a regular contributor to radio and television. His film for the BBC, China and Table Tennis, won bronze medal at the Olympic Golden Rings ceremony in Lausanne. Matthew was one of the co-founders of TTK Greenhouse, a charity which “empowers youngsters through sport” and which currently supports more than 10,000 young people on 31 full-time school programmes.